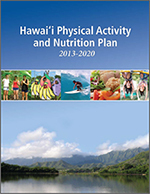 The Hawaii Physical Activity and Nutrition Plan, 2013-2020 (State PAN Plan 2020) describes strategies to increase physical activity and healthy eating, with long-term goals of reducing overweight, obesity, and chronic disease among all Hawaii residents. Its purpose is to provide a framework for policy makers, public and private organizations, and community members to work together to educate, advocate for policies, and build an environment that allows our residents to embrace a physically active and nutritionally sound lifestyle. This approach contributes to the prevention of obesity, chronic disease, and premature deaths from conditions such as cardiovascular disease, diabetes, and cancer. The State PAN Plan 2020 was created by and for community-based organizations, public health professionals, elected officials, and other decision-makers. It is the result of lessons learned from the implementation of the previous PAN Plan, 2007-2012 (PDF) and the PAN Plan, 2007-2012-Supplement (PDF). The 22 objectives are based on effective policies and best practices; they are therefore multi-sectorial, and focus on policy, systems and environmental change. 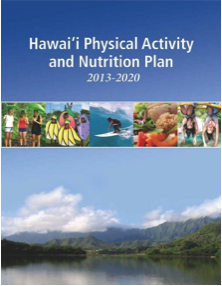 Upon achievement of these objectives, Hawaii’s people will have the support they need to make healthy choices where they live, work, learn, and play. HHI hosted the 3rd Physical Activity and Nutrition (PAN) Summit on May 23rd & 24th, 2013. 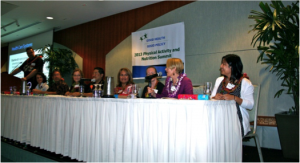 The conference theme “Good Health: Good Policy” focused on the importance of developing and implementing obesity prevention policies for Hawaii in the areas of nutrition and physical activity. A comprehensive policy approach to address obesity will help create the population-level changes needed to turn the tide in obesity. The PAN Summit was attended by community agencies, elected officials, advocates, planners, developers, businesses, teachers and administrators, state agencies, city and county agencies, other community groups, and the interested general public. The objectives of the summit included highlighting the need for obesity prevention policy at the state and county levels, updating participants on the latest data and trends, introducing the PAN Plan 2020, and initiating its implementation. Please see the 2013 PAN Summit Agenda (PDF) for links to all speaker presentations.